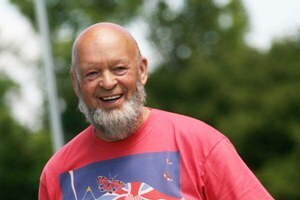 Glastonbury Festival founder and event 'guru' Michael Eavis is to address a group of budding entrepreneurs at a business event organised by the Somerset Chamber of Commerce. The inaugural, free-to-attend Business Start-Up Exhibition will take place on Tuesday 17 April, with speakers including Eavis sharing their expertise and experiences. The first 200 delegates to register online will receive a goody bag of freebies and vouchers to help them start up their own business. Rachel Sweet, the event's organiser and a Somerset Chamber director, said: "Starting a business is a big step, as I know from personal experience. The Somerset Chamber of Commerce is committed to promoting growth in Somerset. "This exhibition is just the start of the support available to those who will not only make it happen for themselves, but will also make a valuable contribution to our county."